Often when people hear of Dominican Republic they think of Mega All-Inclusive Resorts. This certainly exists in DR, but all of our favorite hotels are small, high end resorts with amazing food, service and character. This is a destination that truly offers something for everyone. Located on the 2nd largest island in the Caribbean, visitors have lots to Xplore including different terrains, beaches and types of properties. Read on to discover some of our favorite destinations in Dominican Republic. Enjoy the ease of access into Punta Cana International Airport and then choose from a selection of different properties. 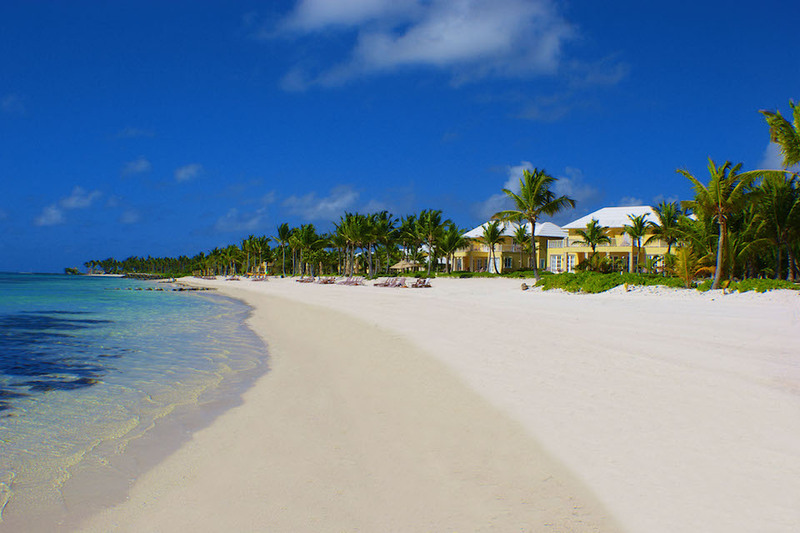 Eden Roc Cap Cana, Tortuga Bay, Zoetry Agua Resort and Le Sivory Punta Cana are a few of our favorites. Eden Roc Cap Cana is a very exclusive 5 Star, Relais & Châteaux hotel with a beautiful private beach club, stellar rooms and a yoga studio with Aerial Hammocks. We are hosting the 2nd annual Yoga & Handstands Retreat to Eden Roc Cap Cana with Melini Jesudason & Virgile Peyramaure this April 2019. A few minutes away is Tortuga Bay, the only AAA 5 Diamond Resort in Dominican Republic. This intimate, super luxurious villa-resort was designed by the late Oscar De La Renta. Imagine a resort with only 30 suites where you still use a golf cart to tool around the oceanfront acreage; eight restaurants; three golf courses; and a quiet beach that feels a world apart from the busy strands of Punta Cana, just minutes away. Many of the large all inclusive hotels that many people associate with Punta Cana are located just North of the airport, one after another on the beach. If you travel to the very far northern end past these hotels you will come across a quiet location called Uvero Alto, or High Countryside. You’ll know you’ve passed the busy strip once you hear the birds singing in the trees and see horses walking along the street. Just as the road narrows, nearly to a stop you’ll come across Zoetry Agua Resort, a Wellness Resort ideal for couples and honeymooners. Le Sivory Punta Cana is our favorite Resort in Uvero Alto, located just passed Zoetry where you can’t go any further along the road. LeSivory is a boutique, all-inclusive, Adult’s only sanctuary featuring a beautiful spa and beachfront accommodations. You’ll love the secluded beach for long sunrise walks along the ocean. We have two Retreats scheduled at LeSivory - Mid-Winter Dream with Sue Elkind & Naime Jezzeny February 13-20, 2019 AND The Goddess, Wellness & Yoga Retreat with Phyllicia April 24-28,2019. LeSivory Punta Cana - We have 2 Stellar retreats planned here for 2019. The first is February hosted by Sue Elkind & Naime Jezzeny. The 2nd retreat will be in April, hosted by Yogi Goddess and designed to be a true inspiration for women. Eden Roc Cap Cana - XPLORE the exclusive private development and beach club of Eden Roc Cap Cana on our Yoga & Handstands Retreat with Melini Jesudason & Virgile Peyramaure. This stellar retreat duo will turn your world up-slide down! Heading West towards Santo Domingo from Punta Cana you will first come across La Romana, home to Casa de Campo. There is so much to Xplore on the Resort’s 7000 acres of lush beachfront property. Casa de Campo is a must visit for those looking for lots of activities including Tennis, Horseback riding, Shooting, Watersports, Deep Sea Fishing and of course golf. There are actually three legendary golf courses to keep golfers busy! My personal favorite was Altos de Chavón, a replica 16th century Mediterranean village in the heart of the Dominican countryside. Meticulously designed by Dominican architect, Jose Antonio Caro, and Italian master designer and cinematographer, Roberto Coppa, every detail of Altos de Chavón was handcrafted by local artisans. You will feel as if you were taken back in time. Check the schedule of events for the 5,000-seat amphitheater with sweeping views of the Chavón River and the Caribbean Sea. Continuing West you will run right into Santo Domingo, the Capital of Dominican Republic and the most dynamic metropolis in the Caribbean. I don’t recommend driving around this city as I did, but it’s definitely worth it to add a couple extra nights onto your trip to DR to experience this great cultural city. I had the opportunity to visit Casas del XVI, a collection of 16th century restored private homes, which is now a super exclusive getaway for visitors around the world. I was completely blown away. Each of the Casas has its own unique decor and style creating a true one of a kind experience. The home’s private pools, and gardens combined with the service of your own Butler and Chef are certain to make you feel like Royalty. My personal favorite was Casa Antillana where management had arranged for a private lunch for me to experience the exceptional butler service. Casa del XVI is a must visit for unique experiences on our list. If your looking for off the beaten path, you’ll visit the North Coast of Dominican Republic, which is completely different from the rest of the country. It’s quiet, slow and undiscovered. The Northern Coastline of Dominican Republic is one of the most beautiful drives. You’ll pass through several quaint little towns along with spectacular views over epic cliffs. The north eastern peninsula is home to Samana, a destination with pure beauty and lush nature all around. You will feel a world away from the busy city of Santo Domingo and other destinations in DR. During the Winter, 2500 Humpback whales travel through Samana, so whale watching is a must. This area is also known for its ecotourism adventures including trekking, birding, and caving in Los Haitises National Park; canyoning or horseback riding to reach El Limón waterfall; and boat-hopping to magnificent white sand beaches at the base of 300-foot cliffs, or to offshore Cayo Levantado island. Kitesurfing is also popular in Las Terrenas on the Samana Peninsula. 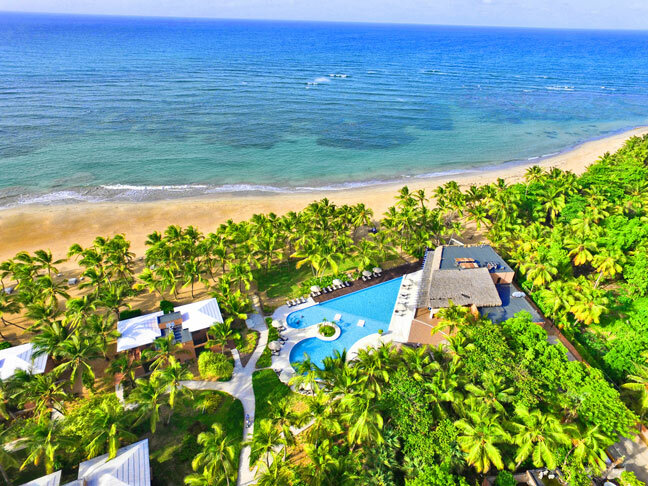 Our favorite place to stay in Samana is Sublime Samana, featuring large condo-style suites in a boutique hotel setting. Don’t miss the epic sunsets on the beach. Another favorite on the North Coast is Playa Grande, home to Playa Grande Beach Club and Amanera. I was so thrilled to discover this little tucked away gem. Playa Grande Beach Club is an intimate resort with only a handful of cottages and bungalow so a Retreat buyout is easy. Think Hamptons meets DR. The cottages are designed like traditional Dominican homes and the grounds feel like a private estate in the Hamptons. I absolutely love this property and can’t wait to plan a retreat here. Playa Grande Beach Club is next door to Amanera, equally as luxurious, but a completely different style as a chic, Asian inspired hotel. 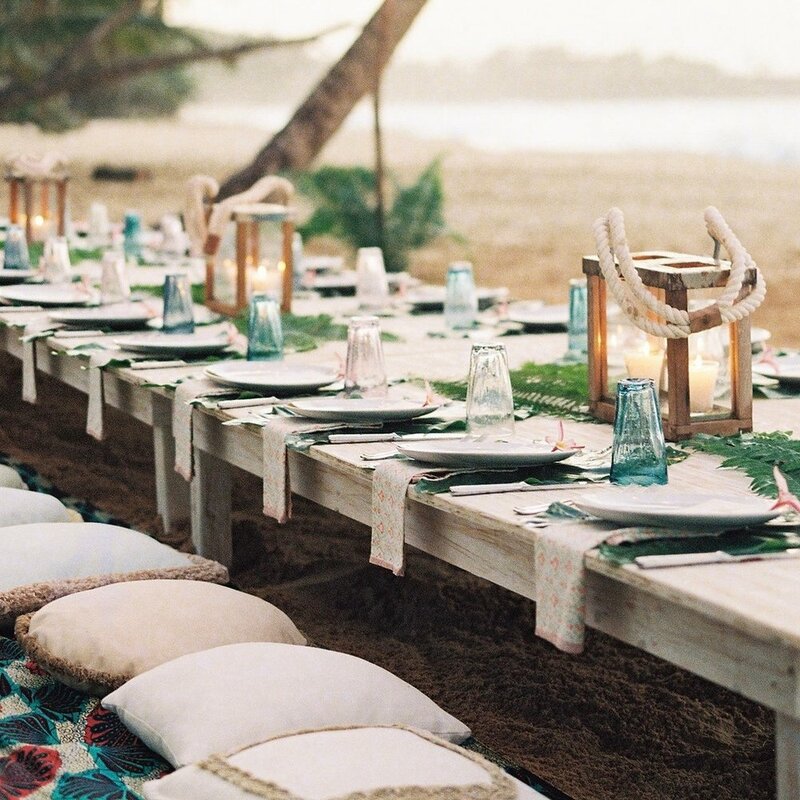 Playa Grande Beach Club is unique boutique hotel on the north coast of Dominican Republic surrounded by nature and quaint small towns. The stylish design and meticulously manicured grounds sets this property apart from all others. The common structures and bungalows at the Playa Grande Beach Club have been created to reflect the distinctive Dominican architecture. Each bungalow features vintage furniture, distinctive floor tiles, details on shutters, fretwork, pops of vibrant colors and other decorative features designed by local artisans. This is a WOW property for Interior Design! There are actually 7 airports in Dominican Republic. Most people will fly into Punta Cana International Airport or Las Americas International Airport in Santo Domingo. If you are traveling to the North Coast you may want to consider Gregorio Luperon International Airport in Puerto Plata or if you can find a flight into Samaná El Catey International Airport. Consider hiring a driver around DR. If you are like me and prefer to drive yourself then be sure to have extra cash for tolls (more than you think you need. I likely spent over $100 on tolls alone and had to stop 3 times at random ATMs to get more). Driving around Santo Domingo is no joke. Stay alert! Whatever brings you to Dominican Republic I am happy to help with suggestions and travel itineraries. If you are interested in hosting your own retreat there are lots of possibilities in DR and beyond. Let’s Connect. E-mail me here: dawn@wellxplored.com or Call or Text 631.835.4259.